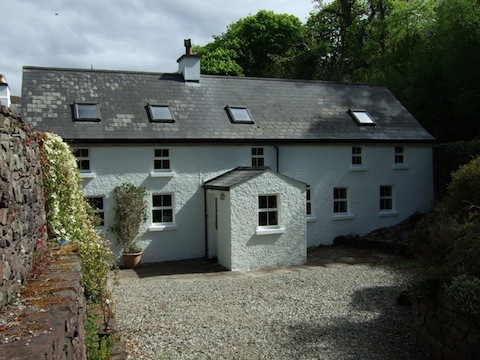 The Coach House is a self catering cottage, beside the sea, overlooking the Little Killary bay in North Connemara. 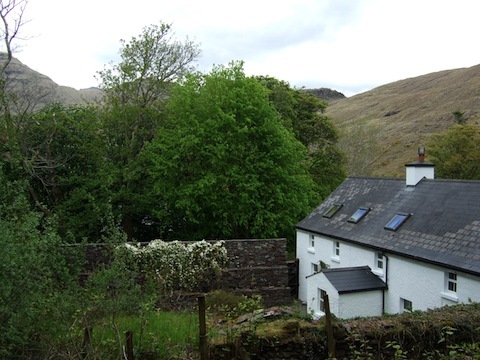 The house sleeps up to seven people comfortably and pets are also welcome. Three bedrooms, one double, one twin and one triple. Two bathrooms, one with a bath and one with a shower. Living room with open fire, colour television with freeview. DVD player and stereo. Kitchen with washing machine, tumble dryer, dishwasher and microwave. Gas central heating, electricity, linen and wireless broadband are included in the overall price. There is also an iron with ironing board and a hairdryer in the house. To see more photos of the house please click the Coach House Photos page. This is a family friendly house where both young and old can have a relaxing holiday. It is well equipped with books, games, jigsaws and toys. If you are travelling with young children please advise us and we can provide a selection of baby and toddler equipment. Glassilaun is a beautiful crescent shaped sandy beach which is ideal for swimming and is just a five minute drive from the cottage. Nearby villages are Tully Cross, Letterfrack and Leenane. 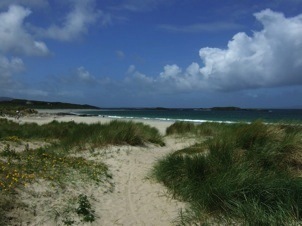 Larger towns are Clifden and Westport. There is lots to do for all the family in this area. On the activities page you will find details of everything from gentle relaxation to vigorous exercise and all sorts in between. Lets are usually from a Saturday to Saturday but we can be flexible depending on prior bookings. July and August - €600. June and September - €500. Rest of the year - €400. To enquire about availability and bookings for the Coach House please email Bowen or telephone 00353 95 43993.